Don&apos;t miss this great Hamilton Bonus built by Tommy Williams Homes in 2014! 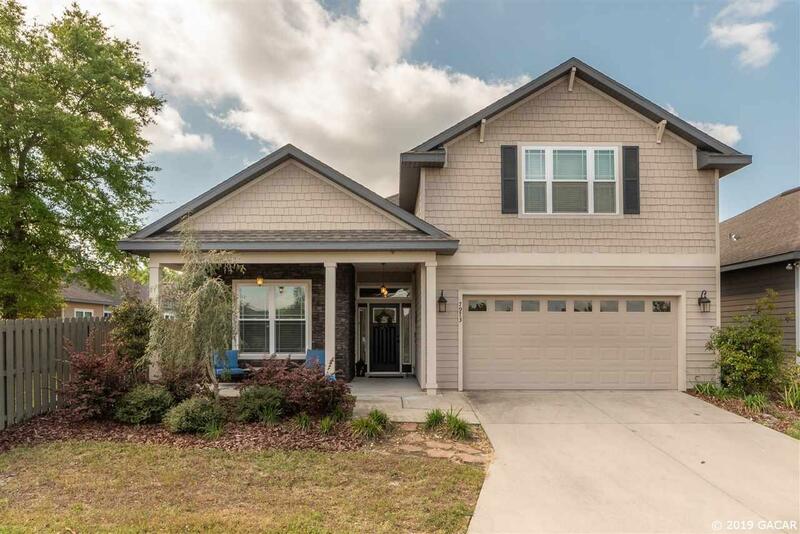 This energy efficient home is loaded with upgrades including HANDSCRAPED WOOD FLOORS, GRANITE throughout, STAINLESS STEEL APPLIANCES, TRAY CEILINGS and more! 3 BRs, 2 BA&apos;s downstairs and a large bedroom w/ huge walk-in closet and private bathroom upstairs is perfect for guests, flex space or in-law suite. The Master Suite offers large walk-in shower and walk-in closet. Energy efficient features include gas tankless water heater, radiant roof barrier, insulated windows, AC and ductwork in AC&apos;d space and more! Longleaf&apos;s top notch amenities include: Beach entry pool, kiddie fountain, 24/7 fitness center, playground, tennis, b-ball & ALL FRONT YARD MAINTENANCE INCLUDED!